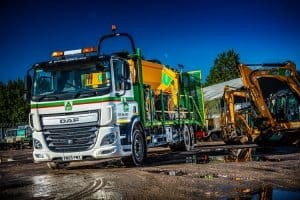 FORS, the Fleet Operator Recognition Scheme, congratulates A-Plant on converting an additional 129 sites to FORS Gold status. A-Plant, an engaged and supportive member of FORS since 2009, now has over 150 sites across the UK operating at the highest FORS accreditation level, FORS Gold. The company also promotes the scheme amongst its supply chain, specifying FORS as part of its role as a FORS Champion. The company has gained Whole Fleet Accreditation, designed for operators with three or more operating centres that already run an internal transport management quality audit process. A-Plant’s approved auditors run their own system checks and conduct reviews, reporting back to FORS, who conduct quality assurance and compliance checks on the reports to ensure consistency and adherence to the FORS Standard. A robust training programme is critical for success at FORS Gold level, with training requirements specified in the FORS Standard. As well as providing new driver induction training, A-Plant has had over a thousand drivers already trained on the Safe Urban Driving course and over a thousand trained with eLearning modules. The company has benefitted from FORS Professional training, provided free of charge for FORS members, and it has been a significant achievement to put so many drivers through approved structured learning.